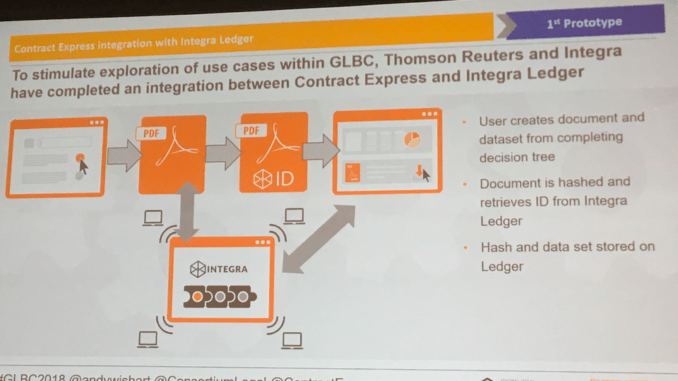 Thomson Reuters has developed an application that creates ‘smart documents’ using Contract Express and the blockchain capabilities of Integra Ledger. The news was announced at the Global Legal Blockchain Consortium’s (GLBC) annual meeting on the eve of ILTACon on Sunday, that saw a host of other announcements from legal tech companies (see more below). 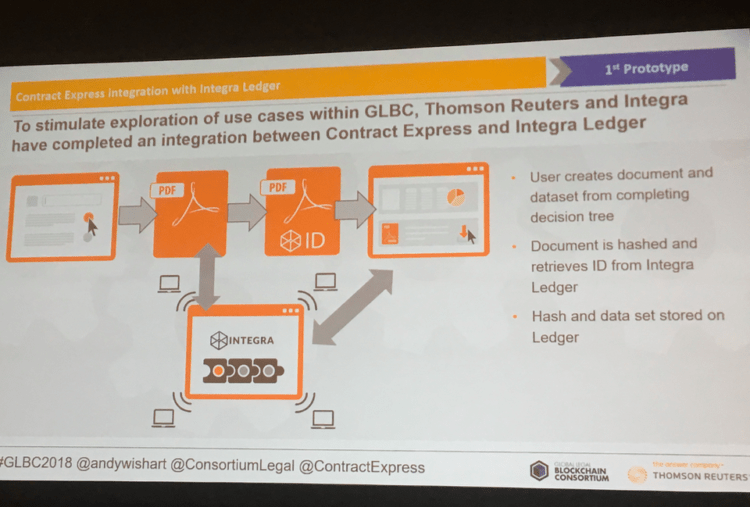 In terms of Thomson Reuters, Andy Wishart, Head of Drafting and Automation, and the man behind Contract Express, said the giant company would be joining the GLBC and that it had developed a proof of concept (POC) application that merged the strengths of the document automation system with Integra Ledger’s ability to assign blockchain IDs to created documents. 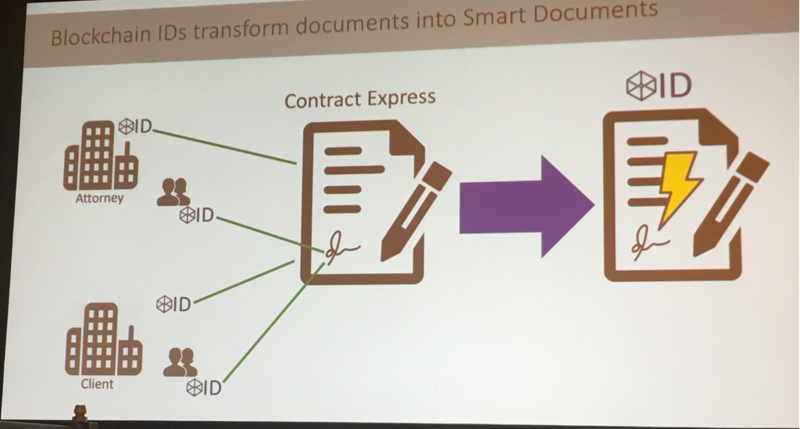 The blockchain integration also provides a QR code that is part of the document (see below), which can be scanned with a phone to authenticate it. The system allows key data from the document to be automatically extracted and uploaded for easy viewing. 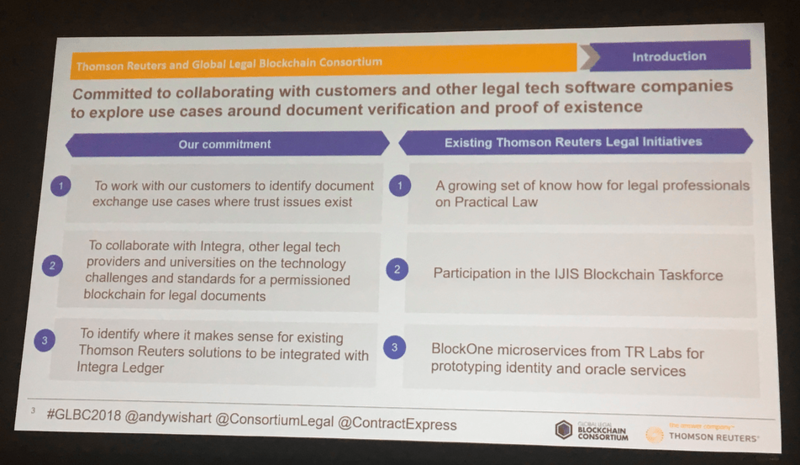 Wishart added that they may look at adding a blockchain ID that shows which template from Contract Express has been used, which will allow a lawyer or client, perhaps later on to know exactly what was the ‘DNA’ of the document they have in front of them. He concluded by saying that the aim is to have the POC work seamlessly with NetDocuments. This last pic shows the QR code. 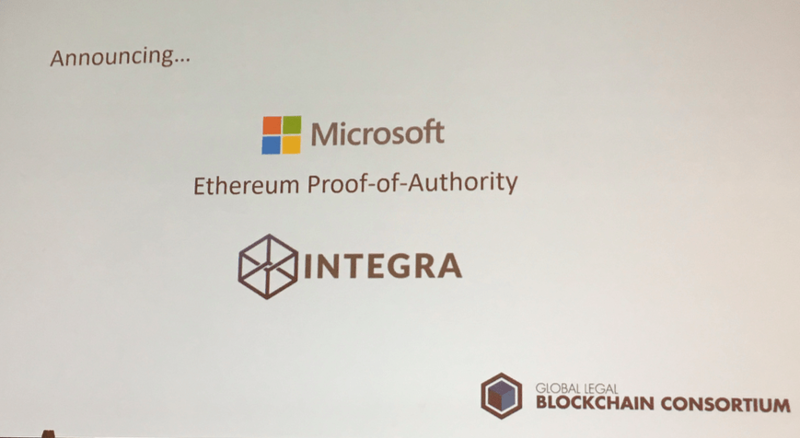 Meanwhile Integra’s founder, David Fisher, also announced that they would now be offering a second blockchain that would provide ‘proof of authority’, which was initially developed by Microsoft. The basic idea is that law firms or other trusted parties are invited to be part of the network, which allows a consensus without the need for other methods such as mining to provide validation of a transaction via proof of work. For readers who would like to know a little more about what proof of authority is, a starting place is the good old Wikipedia. But, in a nutshell, the key point is this: trust in the system is gained by reputable members of the blockchain having verifiable public identities, and these parties become validators, allowing the system to operate. 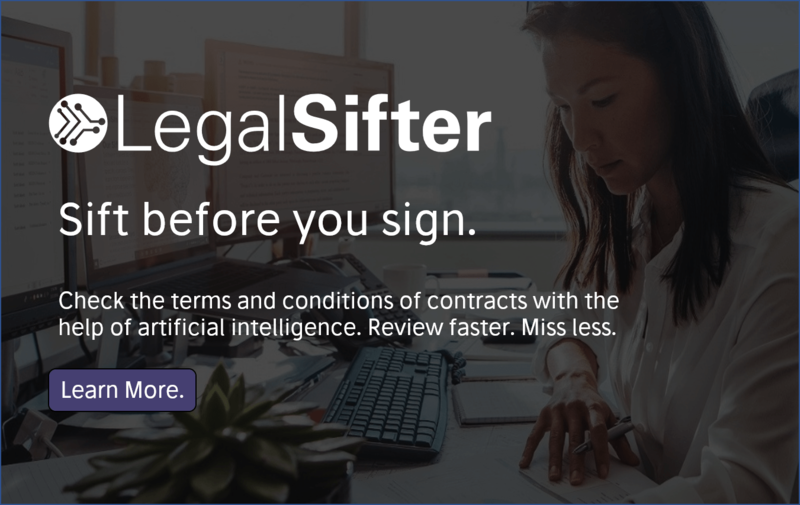 Wolters Kluwer showed how its Effacts integration with Integra Ledger makes the signing of NDAs more secure for both parties by provided a blockchain ID for the agreement. A company called ServeManager has made use of the Integra blockchain to assign IDs to the serving of papers on a defendant. 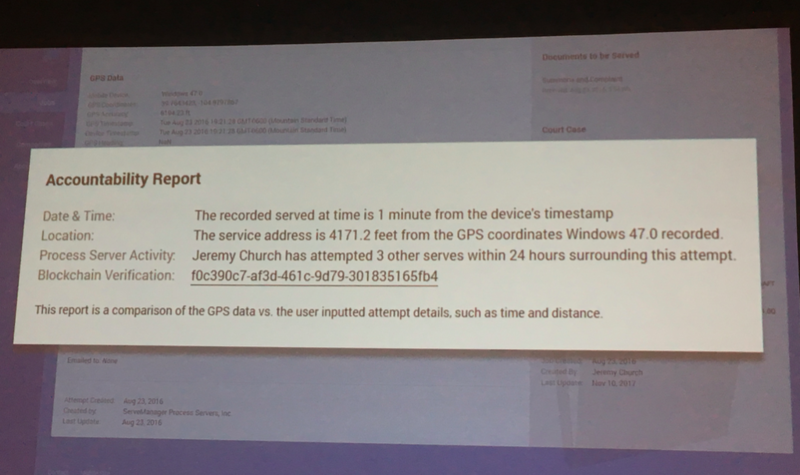 Apparently failing to actually serve papers properly is a growing issue in the US, and by using a blockchain ID which cannot be changed and which will link to associated data, such as GPS coordinates of where the papers were served, the time, and who by, allows a judge to be certain that legal documents were given to the defendant. 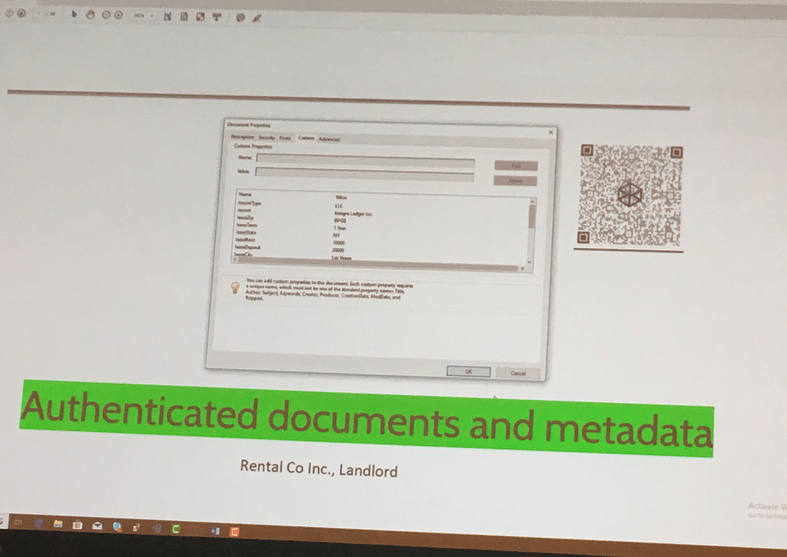 NetDocuments’ Peter Buck talked about the benefits of using blockchain IDs to verify that a legal document is really in the final version. He also walked through another POC where the aim is to provide a public/private key for access to documents. The public part of the key is on a blockchain, and unchangeable, and there is also a private key which is kept with a specific file on NetDocuments’ system. Stevie Ghiassi, founder of Legaler, talked about the need to leverage blockchain tech to help more people gain access to justice, with the idea of encouraging people to develop applications that would run on the Legaler platform. The company plans to launch a token that will both incentivise developers and could also be used to help crowd-fund litigation for people who cannot afford legal services. The company has also just gained $1.5m in funding to develop this project – see story. OpenLaw’s Kirsten Albers-Fiedler talked about using blockchain and smart contracts to increase efficiencies in the transfer of assets. She walked through how OpenLaw has a set of template legal contracts, you choose one, the key data is filled in where those elements will form part of self-executing clauses, and an ID is assigned on a blockchain. The example of using for property transfer was explored, which the company has experimented with Australian law firm, Corrs Chambers Westgarth. Kate Briscoe, the founder of UK-based LegalBeagles, a legal advice forum that now has 1.5 million uses a year, also spoke of the need for using tech for A2J. She noted that they are working with IBM Watson to examine the many questions they have on the site and to see if they can automate some of the answers to the more simple questions. She noted that they don’t use people’s personal data for the machine learning, just the text of the questions. Briscoe also talked about the need to use blockchain to allow LegalBeagles to be the intermediary between law firms and consumers, with the creation of a Beagle Wallet and the use of blockchain-based IDs to help identify a person and make case management easier. 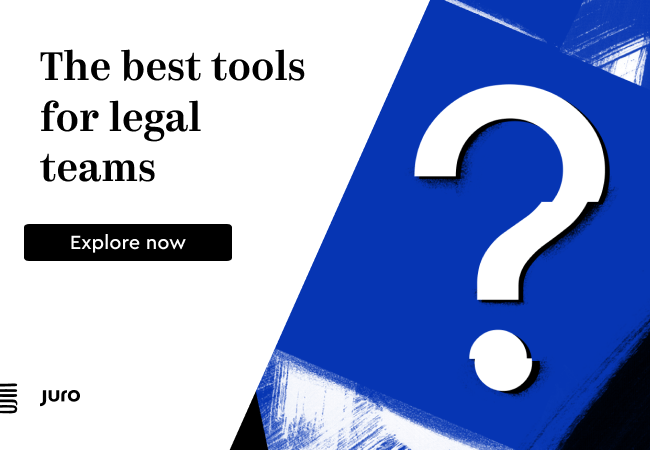 This may be especially important for people who have no experience of the law and can easily lose papers and generally don’t have case management skills or relevant technology available to them at home. Brian Kuhn of IBM Watson talked about the need to use blockchain tech to provide trust and proof of ownership for the data used to train machine learning systems. ‘AI is only as good as the data it is trained on. So, ‘Who trained my model?’ will become a major question. Can I show where the machine learning came from?’ Kuhn said, and concluded that using blockchain IDs to show the provenance of the data could be the solution. 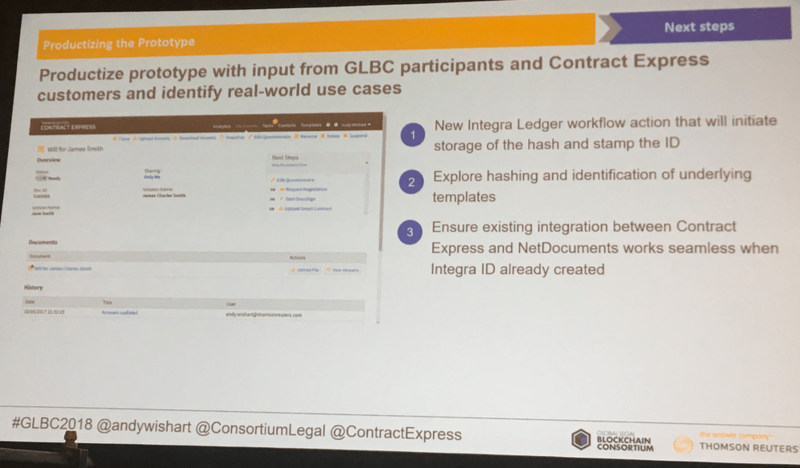 And finally GLBC founder and head of Integra Ledger, David Fisher, wrapped things up by saying that the next Global Legal Hackathon, which had been such a success the first time, would in 2019 see a dedicated blockchain track for those teams that wanted to use the technology in whatever they developed during the weekend-long event.